We’d argue a show that actually reduces plastic consumption and promotes a plastic-free lifestyle to aid the environment, of course! LoaTree, Jack Johnson, and Klean Kanteen are launching a wonderful campaign at the Santa Barbara Bowl on Sunday, 8/31 and Monday, 9/1 in conjunction with Jack’s two shows called #MyCupAndMe. Patrons will be encouraged to purchase reusable cups to help the Bowl meet its sustainability goals. By purchasing a reusable cup, you will receive $1 off any beverage every time you use the cup. You can help green the bowl by rocking the cup! Jacob and Sean ventured out to Florida and North Carolina this week to kickstart the killer new Oniracom platform called Storywall for Jack Johnson’s “From Here to Now To You” Tour. Storywall boasted huge success for Jack Johnson’s social action campaign, All At Once, where concert-goers can participate in Capture Your Commitment by pledging to support plastic free initiatives and sustainable local food systems by eating locally grown meals, participating in beach clean ups, and more! Our Storywall platform not only fed in all Instagram photos with hashtags #AAOPlasticFree and #AAOLocalFood, but also showcased the non profits from that specific show directly onto the big screens throughout the Village Green and on the stage for everyone to see! We are thrilled to have launched this platform for Jack’s entire North American tour as we have worked with Jack’s team since Oniracom founded in 2001. Although Jacob and Sean had very little sleep this week getting everything prepped, organized and implemented — the end result put a huge smile on everyone’s face during the show. Check out more photos below and be sure to play a few fun Go Pro videos that Jacob filmed during the show. We will have a full case study video ready within the next few weeks. Stay tuned for more Storywall updates by following us on Twitter, Facebook and Instagram! Hey everybody my name is Merlo and I play with Jack.. 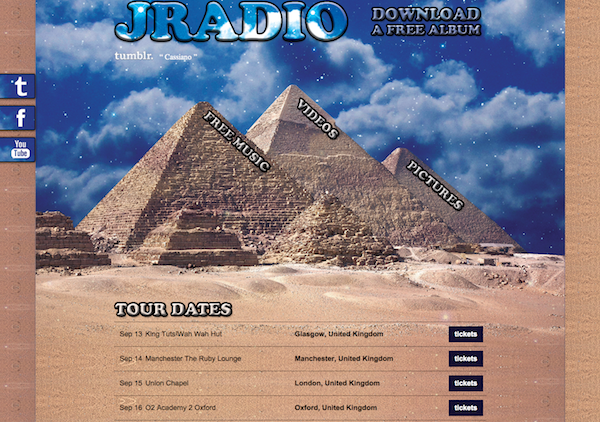 I have a new record called JRADIO – Sea of Dreams that I made in Paris, LA and Hawaii.. My band and I are going out to tour soon and we wanted to give you guys a free copy of my album for you to check out.. hope you like it! Please join our facebook page and come out to a show .. see you soon and take care. Thank you to MySpace for recognizing Oniracom’s great design and implementation of their new beta profiles! 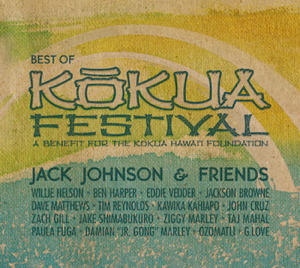 Jack Johnson has a new album and a new profile to go along with it! One of the best upgrades we’ve seen so far. We’re glad that he volunteered and we didn’t have to get pushy. After watching the featured video he has in the Expandable Marquee we realized he’s not a dude to mess with! Make sure to check out Jack’s new profile and listen to some new tracks. 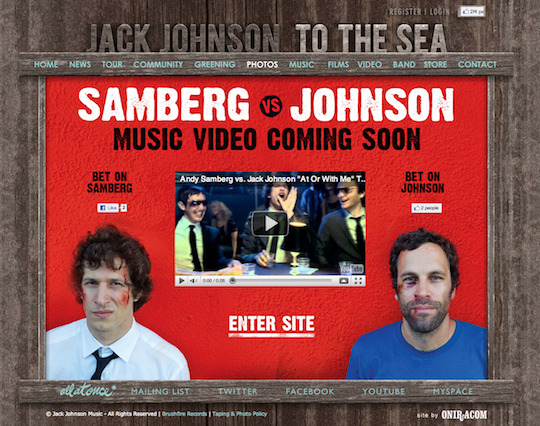 Billboard.com covers Oniracomâ€™s Jack Johnson Twitter Widget!